All the powerpoints from the Beaumont MFL TeachMeet on Wednesday 3 June can be found here. A video about the TeachMeet can be found in this link. After a buzzing MFL Teachmeet on Wednesday 3rd June, I headed home to relieve my babysitter, a friend who is also a teacher. On hearing that I had run a twilight training session, he started to sympathise because, at his school, there was a lot of negativity regarding INSET sessions. He described “death by powerpoint” and irrelevant training sessions, which I had to tell him just don’t happen at Beaumont. It is a real privilege to work in a school where there is such a positive culture surrounding development of teaching and learning. The twilight Teaching and Learning INSET sessions are relaxed and enjoyable, being in a small group format and mixing staff from a variety of departments so that you can get a real range of ideas. Far from the grumbling described by my friend, my Teaching and Learning group was characterised by laughter. It is a shame that too many teachers still experience training where they are simply lectured at, an approach they would never countenance with their own classes, when there is so much more to be gained by having a chance to talk about teaching with as wide a range of colleagues as possible. Let’s hope that the Beaumont T&L model of show and tell sessions, Teachmeets and generating enthusiasm in all sorts of ways will be spread across as many schools as possible, bringing an end to boring INSET. 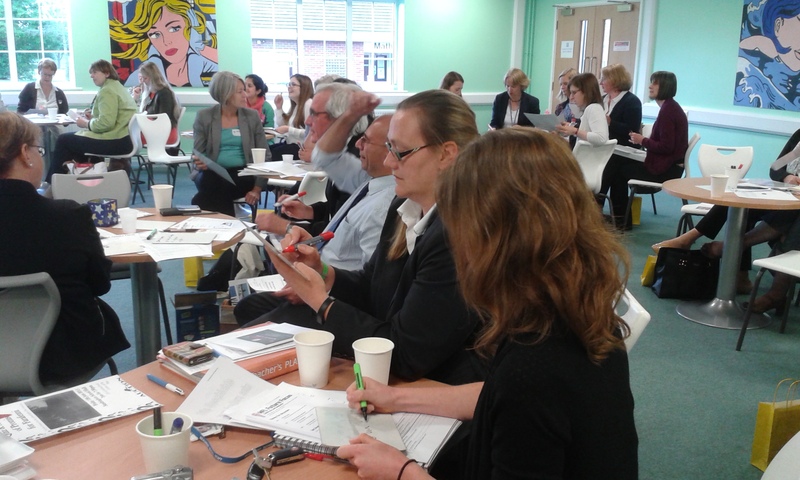 On Wednesday 3rd June, Beaumont MFL department was delighted to welcome 45 delegates from 15 centres in the area to its second annual MFL Teachmeet. After coffee, cake and a little conversation, the presentations began. On the agenda were topics as diverse as “Starting an Exchange from Scratch”, “Collaborative Learning Structures”, “Keep Fit French”, “Life Beyond Levels” and many more. Top of the bill was guest speaker from Routes into Languages, Sarah Schechter, who provided yet more fresh ideas, resources and networking opportunities. After the event, conversations continued in the more informal surroundings of The Speckled Hen. A T&L hub followed by pub grub – we’re looking forward to the next instalment already. In November, things always seem to get hard. The days seem so short – it is always dark before you leave the school and it always seems to rain. Everyone and everything starts to become a bit annoying; there are controlled assessments to worry about, year 11 mocks, parents’ evenings and just more and more “stuff to do”. We all become…. well, let’s be honest… cranky. 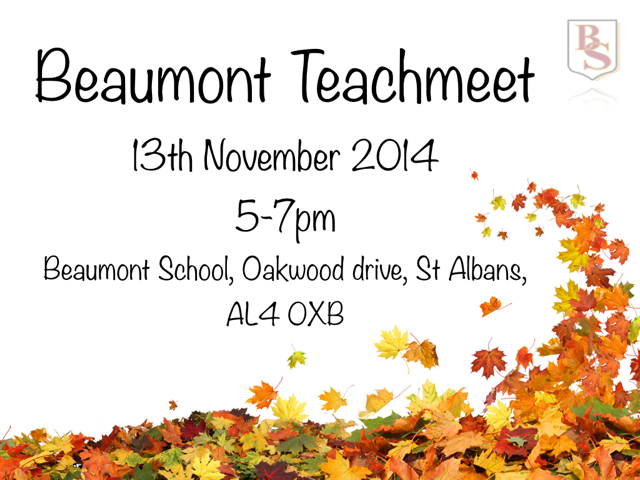 And then you get the Beaumont TeachMeet – the antithesis of November for teachers. Everyone seems to arrive with a spring in their step, catching up with old friends and new; finding out what people who you’ve only met in twitter chats look like; getting to a seat and finding a “goody bag” with both chocolate AND stationery inside; listening and talking to people who just love everything about teaching and learning. 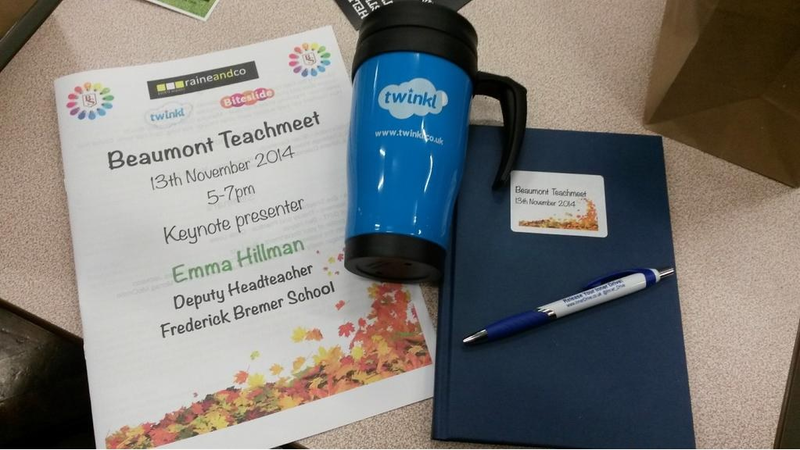 The Beaumont TeachMeet November 2014 started with Emma Hillman from Fredrick Bremer School talking about what the experience of being on “Educating the East End” had meant for the school and what they had learnt from it. The stories were funny and entertaining. They showed us why we all love “the best job in the world” and how much we all need to celebrate the diversity of all our students. A variety of short talks followed (we’ll try and get some of the presentation slides here on the blog as soon as we can) with subjects as diverse as “The T&L Challenge videos” (thanks Michael) and “How teachers can best support each other through this long, dark half term (thank you Emma Kell from Francis Coombe Academy in Watford). This latter presentation really struck a chord with many – in the short break between presentations, Emma was inundated with requests for her tips after she had suggested that those struggling to juggle parenthood and teaching may like to share their ideas with her. 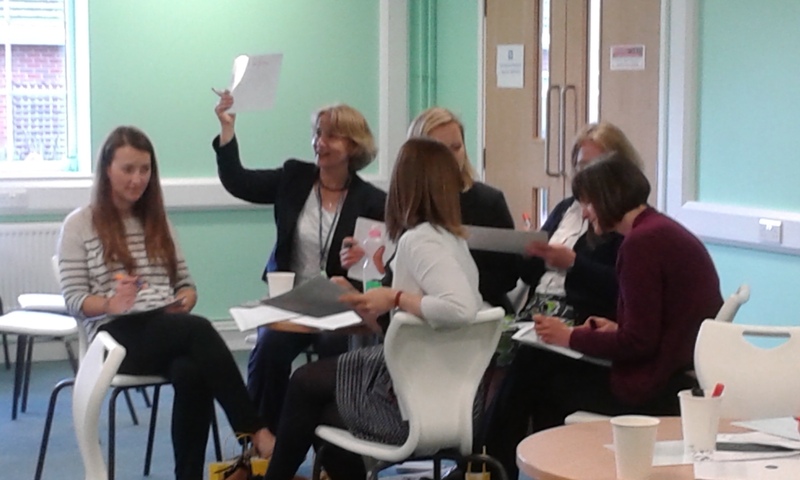 The TeachMeet ended with the opportunities for everyone to choose a short seminar to attend. Again the range of topics and issues to choose from was wide – Engaging learners; What to do with the weakest readers; Lazy links; The value of DIRT; Raising the profile of your department; and “Is life as a teenager really more stressful now than it was for us?”. We all welcomed the chance to spend time talking about ideas and issues in such a friendly and relaxed atmosphere. 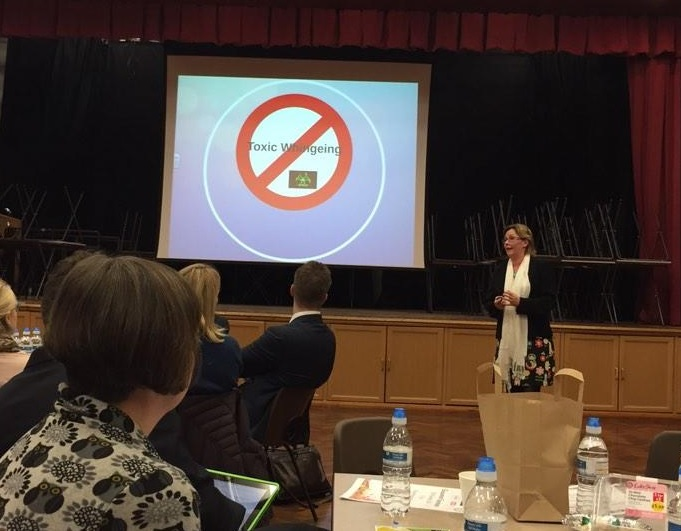 A huge thank you goes to Jo Cavanagh for organising the Beaumont TeachMeet. As a T&L team, we love having the chance to take time out of dark, dreary November to share ideas and an evening with so many like-minded teachers. 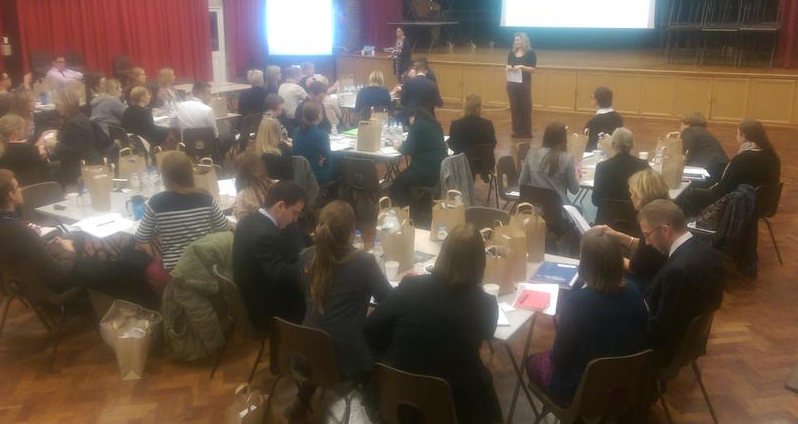 Beaumont TeachMeet 2 – It’s really happening. On Thursday 13 November 2014, Beaumont Teaching and Learning Team will be hosting its second TeachMeet. As was planned for the event in the summer, the format will be differen t, but we are expecting to find the same warm and enthusiastic atmosphere you get when a group of teachers come together to share ideas and provide each other with fantastic CPD opportunities. We are looking for presenters, seminar leaders and, above all, people who want to join other teachers in creating one of the most enjoyable teaching and learning events of the year. We are very excited that Emma Hillman (Deputy Head at Frederick Bremer – Educating the East End), @EmmaHillman4, will be joining us to present on the evening. 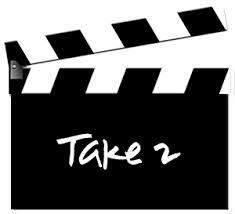 Our first TeachMeet in November 2013 was good – we are expecting that 13 November 2014 will be even better. It is with great regret that we have to cancel our a TeachMeet on 10 July as a result of the potential strike action by some unions on that day. Another date will be arranged as soon as possible and we will keep you posted through the blog and twitter. Apologies to all those who had already signed up to present or attend. Get a feel for the party atmosphere at the Beaumont MFL TeachMeet on Wednesday 4 June by having a look at this short video. Beaumont TeachMeet 2 for all subjects is on 10 July. Sign up now by sending an email or a tweet.